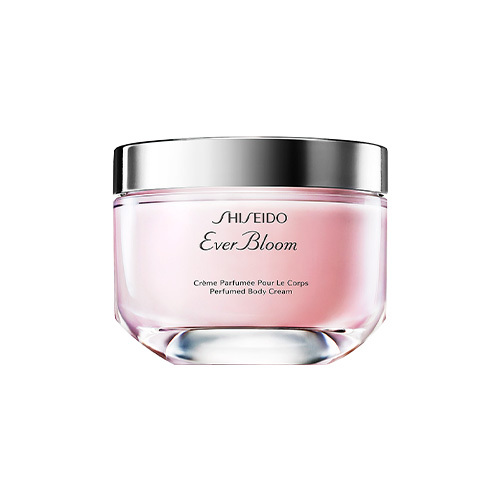 A luscious body cream with the radiant but enveloping scent of Ever Bloom, a musky white, floral fragrance. The velvety texture melts perfectly into skin for soft, luxurious moisture. FULL SIZE: 200 ml PRICE: PHP 2,350 AVAILABLE AT: BOUTIQUES GLORIETTA POWERPLANT EASTWOOD MEGAMALL BRIDGEWAY CONRAD S MAISON GREENBELT 5 TRINOMA SHANGRILA MALL ALABANG AYALA CEBU ABREEZA LUCKY CHINATOWN CENTRIO ERMITA BOUTIQUE ROB MAGNOLIA LANDMARK LM MAKATI LM TRINOMA ROBINSONS ROBINSONS DEPARTMENT STORE ERMITA DEPARTMENT STORES SM CEBU SM CLARK SM LANANG SM MAKATI SM MOA SM MEGA SM NORTH EDSA SM AURA TAGUIG SM SEASIDE CEBU SOCIAL MEDIA: Facebook: https://www.facebook.com/ShiseidoPH/ Instagram: https://www.instagram.com/shiseido Grab yours now at Sample Room!